Since the launch of the Experiland website and our science e-book products in 2010, Experiland’s unique approach focused on stimulating, educating and improving the learning experience for young science students while, at the same time, instilling a sense of responsible and safe acting has earned us high recognition amongst industry leading educational institutions. Our science education e-products helps develop science skills by allowing students to classify objects, make calculated observations, think laterally, and recording data accurately. Students are taught reputable values and respect for life and that interference with ecological systems and natural processes should not occur thoughtlessly and rather be avoided as far as possible! When students are taking part in science experiments, they learn about the scientific method, they pose questions and analyse results. Science experiments are an excellent tool for developing critical thinking skills that kids can apply throughout their lives in future. Pat Wyman is said to be America’s Most Trusted Learning Expert, best selling author, reading specialist, university instructor of education, internationally acclaimed speaker, legislative expert on reading, and the founder of the award-winning website, HowToLearn.com. Pat Wyman’s credentials are impeccable as a K-12 teacher with former school administrative experience, university instructor of reading and education, reading specialist, literacy advocate who testifies on school vision screening legislation. Pat frequently appears in the media and is regularly asked to review and endorse quality educational products and programs, making her an ideal spokesperson and an authority in the educational product field. 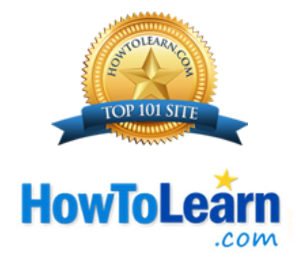 Each year, HowToLearn.com chooses a few select educational websites to bring you the Best Educational Websites Top 101 Awards. The Howtolearn.com team personally reviews each site, so that only the highest quality and best educational websites as your go-to resource right at your fingertips throughout the year. We thank Howtolearn.com for recognizing us as a ‘Best Educational Website’ and encourage you to visit their site for hundreds of free articles and how to study tips. Homeschool.com is the #1 homeschooling site on the Internet, is named one of the Web’s Best Sites for 2009 by Encyclopedia Britannica, and is one of the top 45 sites overall, according to Forbes Magazine. Homeschool.com has over 2.5 million unique visitors and over 8 million page views per year with over 100,000 subscribers to Homeschool.com’s e-Newsletter. Every year Homeschool.com ask their readers to nominate their favorite educational websites—the websites they use regularly in their every day homeschooling activities. They then compile the list and publish it online. 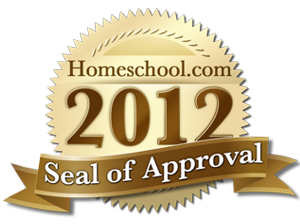 The Homeschool.com Top 100 Educational Websites of 2012 was announced in February 2012 and we at Experiland feel honored to have been selected for this prestigious award. Thank you for recognizing us!